As per Amar Ujala Newspaper North Region published on 14th April 2016, the Staff Selection Commission might introduce some changes in the selection procedure of SSC CGL Recruitment Examination. The expected changes in exam pattern and selection procedure might be applicable from this year. From what we predict, the expected SSC CGL Exam Pattern and Selection Procedure changes can be along these lines. 1. SSC CGL Tier 1 will become qualifying in nature. There is currently a set weightage for both Tier I and Tier II Papers. But there is a possibility that Tier I marks might be non-applicable while making the final merit list. 2. 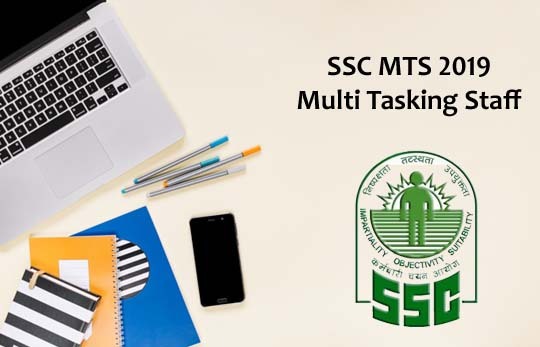 SSC CGL Tier II will be conducted online. This might be another big move towards moving the examination completely online. All papers conducted in SSC CGL Tier II might follow CBT format soon. 4. SSC CGL Tier I Date of Examination might change. Currently, the exam is scheduled for 8 and 22 May 2016 but in light of these new changes, the exam may be moved to a new date. We understand that a lot of you might be surprised by this new information. But, in the official notification, the Staff Selection Commission did notify that there can be changes in exam pattern. 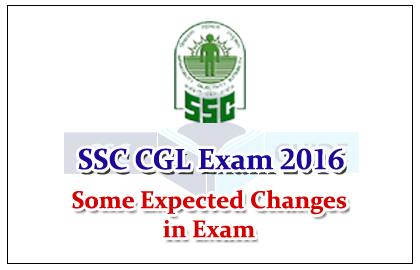 Disclaimer: We do not take any guarantee that the SSC CGL 2016 Exam Pattern will surely change as stated above. But we only want to keep you updated and notified about all the latest news regarding SSC Exams. This change might or might not occur in the coming SSC Exams.